No matter where you live in the world there is some kind of natural hazard. For the people of Pompeii (pictured above), and Hawaii today, the natural hazard is Volcanoes. In Florida there are hurricanes. In Oklahoma there are tornadoes. In California our natural hazard is earthquakes. 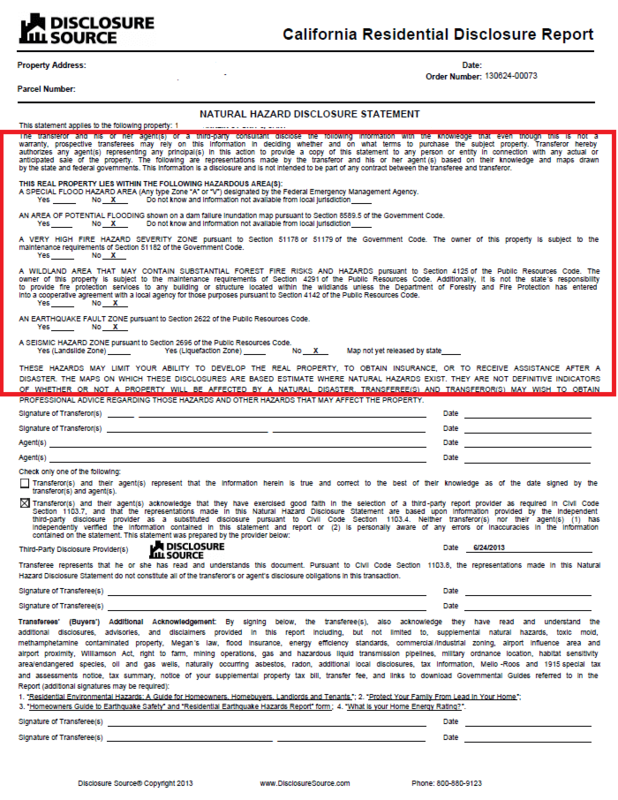 California state law requires sellers to provide buyers with a Natural Hazard Disclosure (NHD) statement as part of the disclosures made by the seller during escrow. The NHD indicates whether or not the property is located in a ‘Hazard Area’. 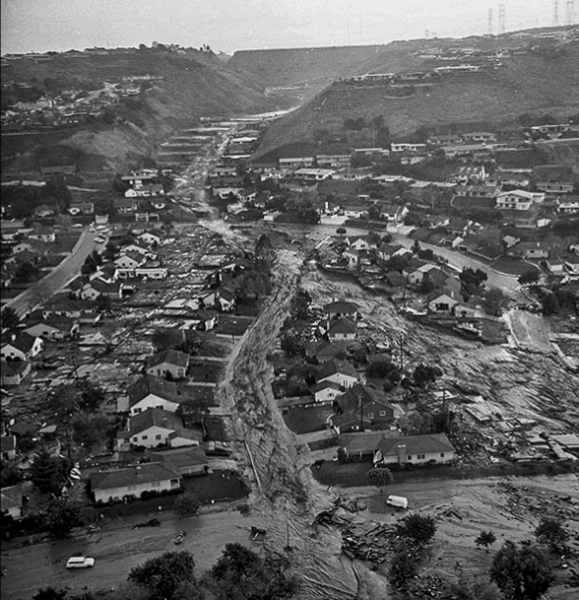 The Major hazards in California are: Flood Hazard Area, Dam Inundation Zone, Very High Fire Hazard Zone (if so it may be difficult to get fire insurance), Earthquake Fault and Seismic Hazard Zones. There are several dams and reservoirs on the Westside: Encino Reservoir, Stone Canyon Reservoir, Franklin Canyon Reservoir, Mulholland Dam, and Silverlake Reservoir. 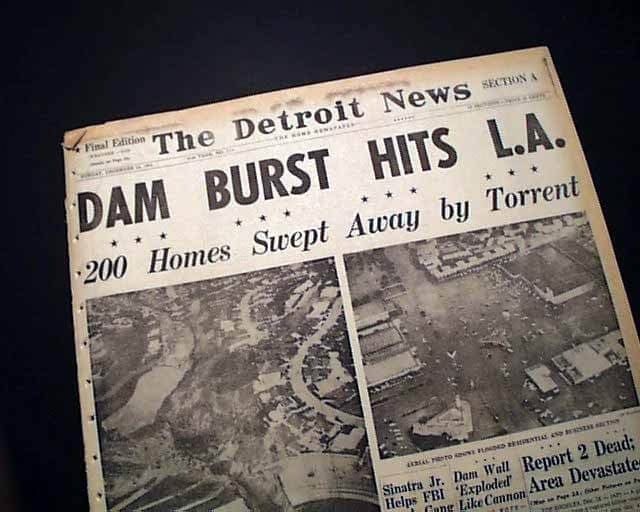 In California history there has been two major dam breaks: St. Francis Dam (1928) and Baldwin Hills Dam (1963). 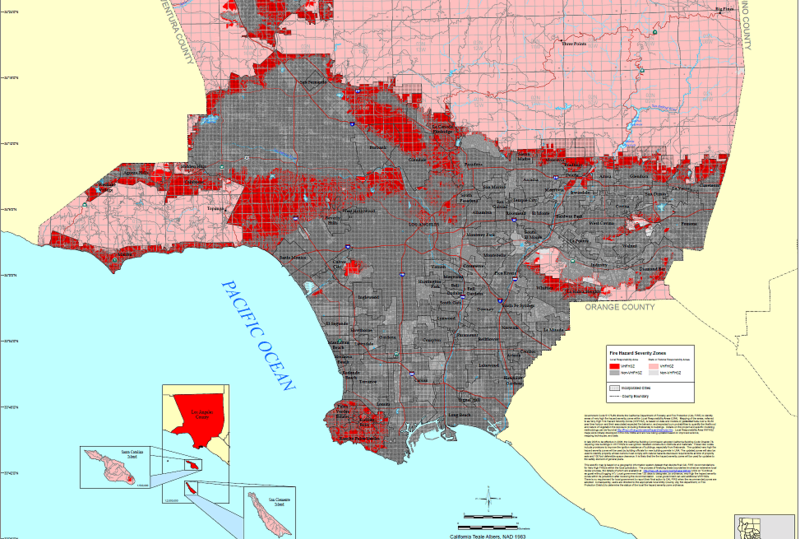 Hillside areas in Malibu, the Santa Monica Mountains, Verdugo Mountains, and the Palos Verdes Hills are all Very High Fire Hazard Zones. These hillside areas have a lot of trees and brush that can burn in wildfires, especially during a drought. 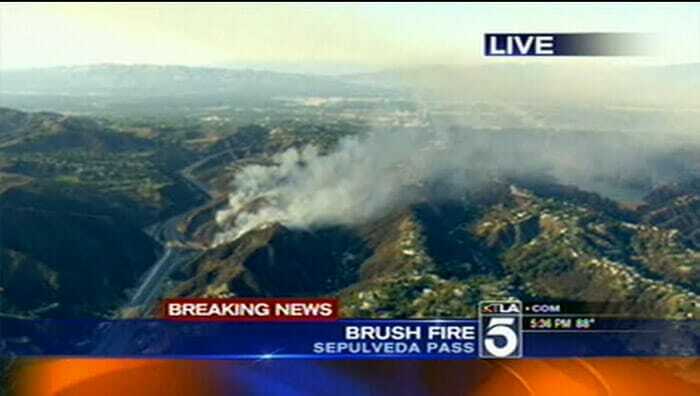 Bel Air had a big fire in (1961) and more recently Malibu in (2007). Homeowners insurance in Very High Fire Hazard areas is more expensive and harder to get. The NHD goes on to include additional hazard information like proximity to Commercial or Industrial, airport, mining operation, hazardous waste, Mello Roos Tax, and future tax increases. It is customary in Los Angeles for the seller to pay for the NHD report. The price of an NHD report is about $150.